490 Old Tejas Trail E Hemphill, TX. | MLS# 70496 | Toledo Bend Express Realty; Toledo Bend Real Estate Professional; Waterfront property and Lake Homes for sale at Toledo Bend and Sam Rayburn Lake! Vacation or retire; Certified Retirement Community in Texas Forest Country! Enjoy golf, fishing, ATV trails. Great waterfront in great subdivision, call office for restrictions. RV&apos;S WELCOME! The restrictions allow you to stay in your RV for up to 10 days at a time! Now you can enjoy all that Toledo Bend has to offer while you save for your dream home! 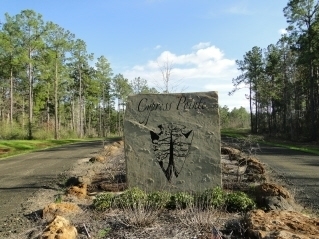 Note: Barndominiums have been approved for Construction in Cypress Pointe!! !